When you think of thriving destinations for golf resort and residential communities, the Sun Belt naturally comes to mind first - places like Florida, California and Arizona - not our international neighbors to the North. 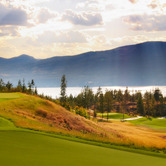 But the Okanagan Valley, a relatively unknown high-desert region of British Columbia, Canada, has made great strides in becoming one of the world's leading getaways for golf, wine and attractive real estate opportunities for both Canadians and non-Canadians. 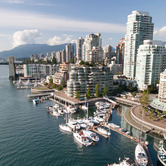 Of course, Vancouver, Vancouver Island and Whistler have long been established as top luxury real estate and resort destinations in British Columbia, fueled by droves of wealthy Chinese seeking safe havens during the run up to Hong Kong's official transition to Mainland China in 1997, and most recently, the 2010 Winter Olympics that Vancouver hosted. On the other side of Canada's coast, Muskoka is recognized as one of the most elite and affluent pockets of North America, attracting the likes of celebrities such as Steven Spielberg, Tom Hanks and Goldie Hawn over the years and dozens of other Toronto tycoons and power brokers. Located about two hours north of Toronto, Muskoka and its limited and lovely lakefront enclaves is to Toronto what the Hamptons is to New York. 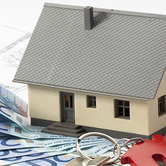 With the weakened Canadian Dollar, buying real estate in Canada has never been more attractive, at least in the eyes of U.S. citizens seeking a new home. Over the past 15 years, I've had the pleasure of visiting numerous properties in the Okanagan Valley, or "Palm Springs of Canada" as I like to put it, and got a taste of Vancouver and Muskoka's good life as well. When it comes to world-class wine, warm weather and first-class golf, Canada doesn't necessarily jump out as the first destination of choice. I was more than pleasantly surprised, however, when I visited this fantastic four-season residential golf and resort community in Western Canada. How? Predator Ridge is part of a region that boasts more than 50 courses and a high-desert climate that gives Okanagan Valley the country's longest, driest and sunniest golf season. Secondly, the wine grows just fine in and around the massive Okanagan Lake, much to the delight of wine aficionados. In fact, named Napa North for its 50-plus wineries, the Okanagan region has quickly garnered worldwide viticulture acclaim. 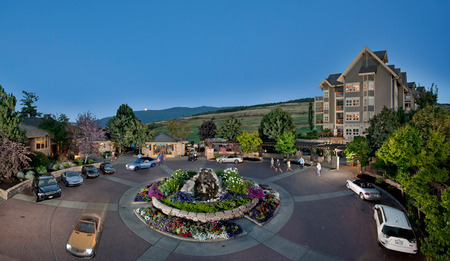 With places like Predator Ridge, whose luxurious accommodations and golf and spa amenities rival that of any in the United States, the Canadian destination is only growing in appeal. Driving the community's recent surge in interest is the new Whitetail subdivision of homes that offer some unique features: lower density clusters of homes situated around the golf course that blend into the natural landscape and a move to more contemporary-style homes versus traditional Craftsman homes in other Predator Ridge neighborhoods. Predator Ridge real estate prices range from fractional ownership opportunities starting as low as $44,900 to $655,000 for a new Whitetail neighborhood home. "The lake views up here are so incredible," said Couples, who is originally from nearby Washington State. "I have such a passion for golf that we really wanted to take our time and build a course that is as stunning as its location. ... I grew up in Seattle my whole life and I was flabbergasted when I came up to the Okanagan Valley for the first time. To do a golf course here is just a thrill." "The course has turned out even better than we could have dreamed," Rise then-president/CEO Leona Snider said during the June 20 grand opening. "It's a beautiful addition to the community we are building here at The Rise and a wonderful expansion of the recreation opportunities in Vernon." 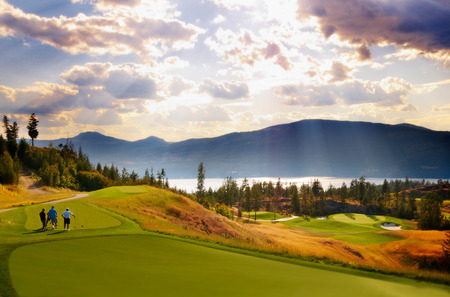 At the time, Snider's Okanagan Hills Development Corporation was planning a 735-acre golf and winery resort, located minutes from the heart of Vernon on a south-facing hillside that overlooks Okanagan Lake. Besides the golf course, the Rise also had plans for a winery, vineyards, lakeside beach club, hotel and village center and several neighborhoods comprised of vacant lots, villas and single-family homes. 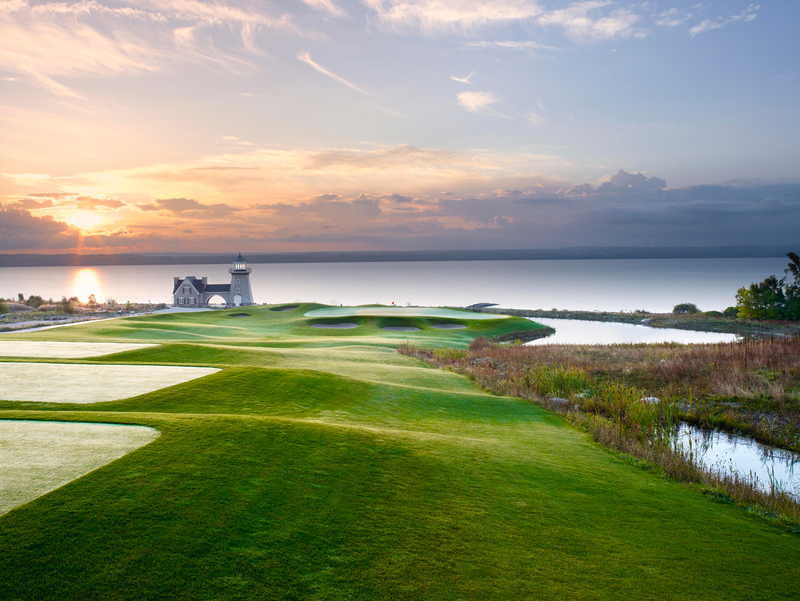 Now, the 662-acre Rise has risen under new ownership and the golf course is ready to open May 9. The course has been acquired by Lake Country's Renton family, and Ian Renton has worked with the golf course from initial design to development. "We're returning to the course Fred Couples envisioned," Renton told a local Vernon newspaper, in reference to swapping the routing on the front and back nine holes. Renton also said a new clubhouse is in the planning stages. Of the community's eco-conscious 662 acres, one-third is now home to the golf course, one-third is being set aside for housing, and the latter third remains a nature preserve. According to the developer's website, more than 200 people now call the Rise home and over the next 20 years, the Rise expects to welcome several hundred more families ready to enjoy this revitalized development that sits high above the warm, pristine waters of Okanagan Lake. One of the most elite addresses in the affluent Muskoka market is Muskoka Bay Club developed by Peter Freed's Freed Development, one of Toronto's top developers. With more than $1 billion in residential properties delivered or under development, Freed's imaginative style and commitment to quality is uncompromising whether he's doing this four-season retreat or a condo tower just 90 minutes away in downtown Toronto. Featuring pristine lakes, towering forests, refreshing clean country air and a spectacular Doug Carrick-designed golf course perennially voted one of Canada's best golf, Muskoka Bay is the perfect balance between peaceful country living and vibrant city life thanks to the historic towns of Gravenhurst and nearby Muskoka Wharf. Next to the natural setting and close proximity to Toronto, Muskoka Bay features a host of luxurious amenities, including an award-winning 17,000-square-foot Clifftop Clubhouse that offers exquisite dining, full-service fitness, a stylish spa retreat, infinity pool, kid's pool, tennis courts, pro shop and bistro. For the outdoor enthusiasts, there are numerous scenic trails to hike and bike, woodlands and waterways to explore and during the winter, of course, Muskoka is a marvelous place to ski, skate and pursue other wintry activities. The villas, nestled amongst the stunning terrain of the club's golf course, are priced from $459,900 to more than $600,000. The 2- and 3-bedroom homes with optional second-level lofts, are being marketed for $464,900 to more than $1 million. 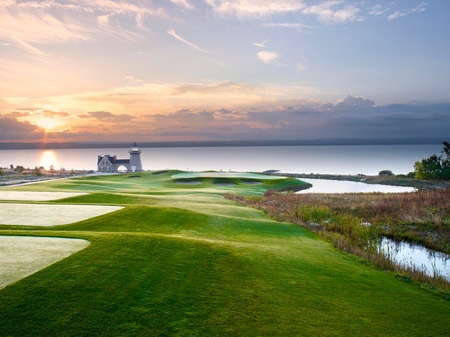 One of the newer master-planned golf and resort-style communities in Canada is this world-class development situated on gorgeous Georgian Bay, often referred to as the "sixth Great Lake." Flanking the eastern side of Lake Huron, Georgian Bay features more than 30,000 islands and 2,000 kilometers of shoreline. The resort community's waterfront village integrates detached homes, villas, townhomes and luxury estates into pedestrian-friendly, environmentally-sensitive settlements. It's a vibrant, four-season community for active individuals and families seeking a vacation home or full-time residence. 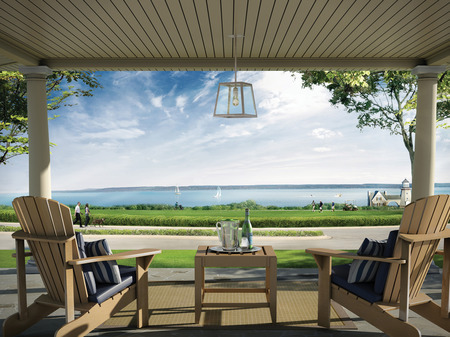 The Residences at Cobble Beach combine master craftsmanship set amidst 600 acres of land overlooking Georgian Bay. Cobble Beach recently introduced the Blue Bay Villas and The Grove by Reid's Heritage Homes, true lock-and-leave, attached residences that maximize water and golf course views. Walk-out water views, full basements, and turnkey landscaping and maintenance are a few highlights of this stress-free lifestyle. The Grove neighborhood is situated on one of the highest elevations of the community. Starting at $349,900, these townhomes offer upper and lower walkouts with decks and patios backing onto a tranquil wooded ravine. The Grove is offered by Reid's Heritage Homes, one of Ontario's most respected builders dating back to 1947. Golf memberships at the award-winning Cobble Beach Golf Club are included with both residential options. "Blue Bay Villas and The Grove are ideal for active adults looking to downsize from high-maintenance, detached residences without sacrificing space and the comforts of luxury living," says Rob McLeese, President of Cobble Beach. 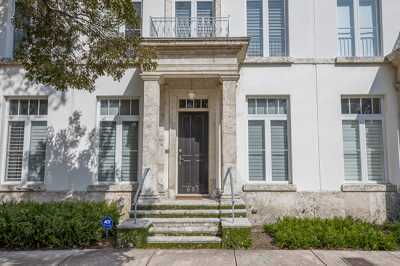 "With our proximity to the Greater Toronto Area, London and other Ontario population centers, both of these products are perfect second or vacation homes as well. 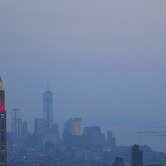 Baby Boomers seek four season climates, outdoor experiences, culture and continuing education. Cobble Beach is the perfect year-round basecamp for these pursuits." Forest Lakes Country Club is Atlantic Canada's most exciting new development. Situated in the Maritime province of Nova Scotia, the resort has been designed to capitalize on the region's stunning natural landscape of forests and lakes by offering four-season leisure opportunities. 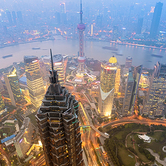 The project, developed according to the principles set out by the Canada Green Building Council, calls for a total 1,800 residential plots spread out around village hub with shops and restaurants, and a family entertainment center and farmers' market. Among the many leisure amenities planned: Nova Scotia's only 18-hole Nicklaus Design golf course, a driving range, indoor and outdoor swimming pools, tennis courts, gym, riding stables and watersports. The Country Club will also include a five-star boutique hotel and spa, as well as a conference center and commercial facilities. Forest Lakes is situated just 30 minutes from central Halifax and 35 minutes from the city's international airport. Great connections (flying time from London is less than six hours) make Nova Scotia a popular tourist destination. 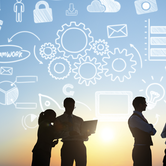 Case in point is the number of international visitors jumped 29 percent from January to July 2014, compared with the same period in 2013, according to the Nova Scotia Tourism Agency.